Here’s a story I didn’t write. A friend of mine was adopted when she was a few months old (Because I respect her privacy, I won’t use her real name). Cassie grew up in a loving family and had no desire to seek out her birth parents for most of her life. When my friend finally decided to search for her biological family, I was ready to assist. I kept bugging Cassie to see if she requested access to her adoption file. She decided to stop procrastinating, but by this time the system was backlogged more than six months. I am big on researching my family roots and a fan of “Finding Lost Family on TLC and Finding Your Roots on PBS. Time is not on our side, and when you’re adopted, time could be running out for a child to meet their birth parents. Cassie is in her fifties, so that would make her parents between seventy and eighty. My best genealogy sleuth skills were no match for the simple Ancestry DNA test. While Cassie’s results were being processed, she received her birth certificate, and I tried to create a paper trail from the clues. One thing was for sure, Cassie had a sibling. Cassie’s results came back recently, and a few days later, she got a hit from a close relative with news that both her mother and father were still alive. Cassie’s mother was in her eighties—didn’t look a day over seventy—and her father was in his early nineties. Plus, she had more than one sibling. At one time, there were ten of them, but one died. The story gets better. While my friend didn’t know her parents, people we knew had crossed paths with Cassie’s father. He and my late father-in-law worked for the same company and would have been about the same age. No doubt, they knew each other. Then it was one of our church members who knew Cassie’s father when she attended another church forty years prior. She was surprised to learn that there was a connection. When my friend texted, “I’m going to meet my mom and dad this weekend.” I smiled. Cassie’s adopted parents had been deceased for at least fifteen, if not, twenty years. Now, God gave her a new set to continue her life’s journey. Amen. This is a Fact, not Fiction Story. If you love stories centered around adoption, then download Guilty of Love for only .99, or check out my latest The Guilty Generation. They will warm your heart. Pat Simmons has penned more thirty plus titles. She is a self-proclaimed genealogy sleuth who is passionate about casting her ancestors in starring roles. She is a three-time recipient of the RSJ Emma Rodgers Award for Best Inspirational Romance. Pat describes the evidence of the gift of the Holy Ghost as a life-altering experience. 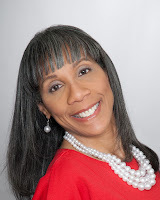 She has been a featured speaker and workshop presenter at various venues.Pat has converted her sofa-strapped sports fanatical husband into an amateur travel agent, untrained bodyguard, and GPS-guided chauffeur. Pat holds a B.S. in mass communications from Emerson College in Boston, Massachusetts. Visit her at www.patsimmons.net. I know a person who searched for her biological family and has a relationship with them. Has that happened to your family or someone you know? What a beautiful, inspiring story. My husband and I adopted our daughter from S. Korea. The journey has been wonderful. What an amazing story! I found a first cousin through AncestryDNA. She's the daughter of my mom's half-brother who my mom never knew. They had lived just a few miles away from us and we had no idea. I know. Happy for her. Great story! I know a young person who is 30. She found her mother with the internet, paying 1.99. She sent a letter and all her aunts, uncle responded. They had no clue their sister had a child she gave away. The woman is in touch with her grandmother and aunt and has a great relationship with them. She met her uncle who was India and black, and he died one year later. She met her mother, but they do not have a relationship nor talk to each other. She wanted no contact. Though she met her, she didn't try or want a relationship. The young girl is happy. Her adopted parents are alive, and she is their only child. She is truly loved by many.